A while ago, we touted the power of Diptic (Multi photo iPad images posted directly to Instagram). An app that had templates with multi image spots that could be saved as a single image. Over the last few months, we have revisited the iPads around the room and found two others being enough that it’s worth a mention. All three of these options are Universal so if you buy for your iPad, they will also work on your iPhone. 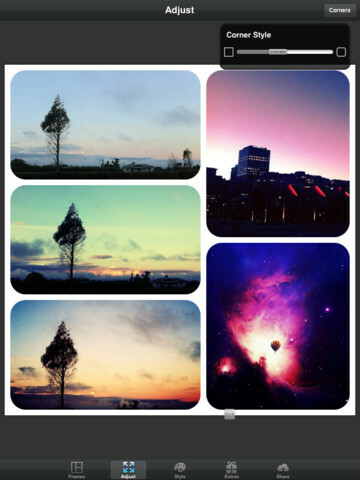 Pic Frame has a user experience you will feel comfortable with if you have used Diptic. The screens and tools look very familiar. The original version offered 32 adjustable frames, with the new 2.0 update showing to have doubled that quantity. Rounding the corners of your images in the frame is a nice plus, as is the ease of adjusting the size and ratios. 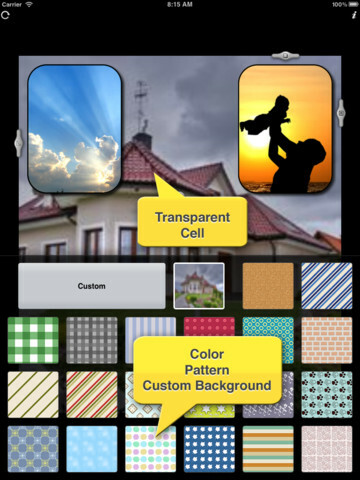 The background color picker is familiar and is highly tunable. There is an in-app purchase option if you want to add text to your finished multi image pictures too. 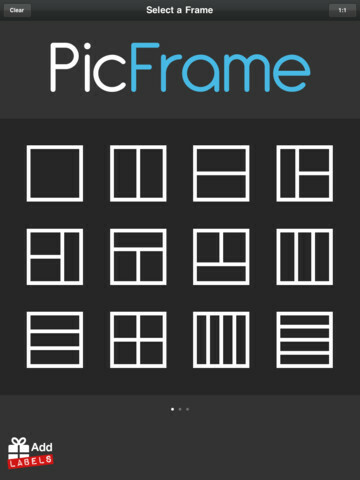 Pic Frame offers what seems like an endless list of layout templates, with the maximum quantity of images per frame of 5. Sharing your creation across multiple social networks is easy too. 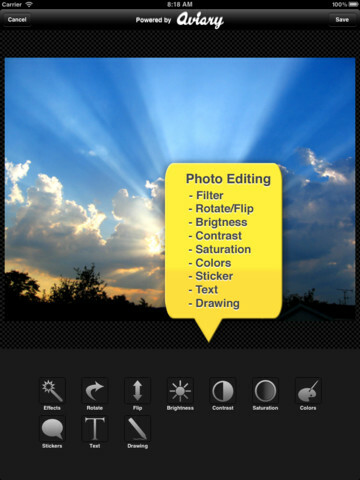 Frame Magic comes with 42 frame layouts and will allow up to 16 pictures in a single frame. On the surface we thought that the 16 was a bit much and the images would be too small to view but it has proven the other way as people have been creative about matching up photos so they work together well for a single impact. The ability to fine tune the frame and background with colors, shades, textures or an image is a plus. Giving it more of a scrapbook look and feel. Frame Magic also allows for the frame ratio to be adjusted. A hit if your in a hurry is the ability to tune the image within the app where the others want the image tuned outside and in it’s final state when added to others in the multi image framework. A clear favorite between the three? No, that conversation was going on and on as each has winning features over the others which are unique to the user’s view as being more usable than other options.